Home / Uncategories / Warning : Hurricane Michael reached wind speeds of 125 mph increasing fear of greater devastation in Florida ! Warning : Hurricane Michael reached wind speeds of 125 mph increasing fear of greater devastation in Florida ! Hurricane Michael reached wind speeds of 125 mph on Tuesday night, coming within 5 mph of Category 4 status and increasing fear of greater devastation. Could it make landfall as a Category 4? Yes, the National Hurricane Center predicted Tuesday night ahead of the storm's projected landfall Wednesday in the Florida Panhandle. Only six storms in the new century hit landfall on the Florida coasts as Category 3 or better, and only one, Charley, had winds above 120 mph. The most recent Category 3 hurricane or stronger to hit the state was Hurricane Irma (115 mph) in September 2017. 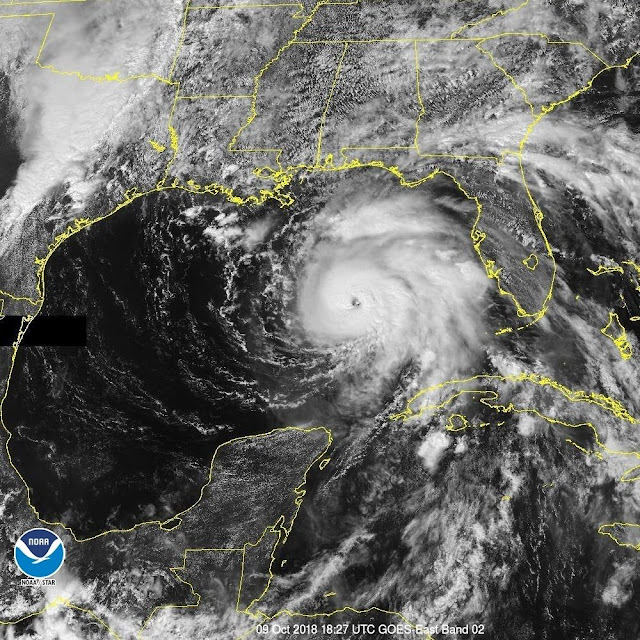 While Michael's wind speeds continued to intensify and flirt with Category 4 status, Colorado State University meteorologist Phil Klotzbach told USA TODAY that the hurricane will be a significant threat — regardless of its category ranking. Michael officially reached Category 3 status on the Saffir-Simpson Hurricane Wind Scale early Tuesday night. With the eye clearing out and recon and satellite observations of a nearly closed eyewall, Michael may not be done strengthening and is as likely as not to reach Category 4 intensity in the next 12 hours, reported WeatherTiger’s Ryan Truchelut. While most hurricanes approaching the northern Gulf in Florida weaken on approach, Michael appears poised to defy that precedent, Truchelut said. There remains more warm water with depth that is typical in the northeastern Gulf, and the dry continental airmass that often wraps into eastern Gulf storms is unlikely to significantly disrupt the core prior to landfall, Truchelut said. On Tuesday the estimated reconstruction cost value of the homes in Hurricane Michael's path was $13.4 billion, according to CoreLogic, a property analytics company. 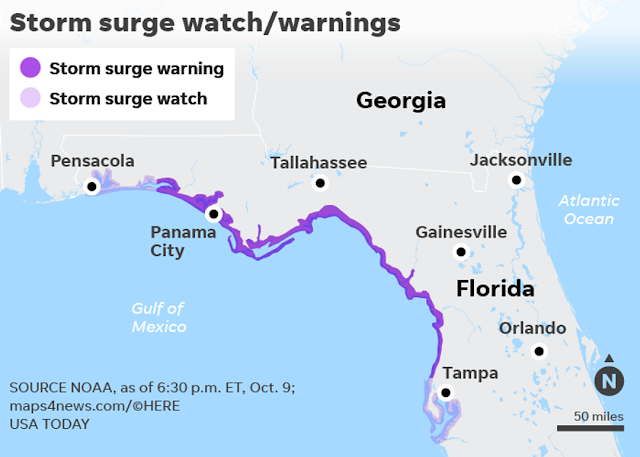 It predicted the projected storm surge will endanger 57,000 homes in the Florida Gulf Coast.